Advanced Nutrients Bud Candy is the formula for floral growth. Bud Candy is 100% organic, and provides the plants with the sugars it needs to thrive, eliminating the need for a separate sugar source. The Bud Candy system works by the application of Big Bud and Bud Candy during the bloom phase, which increases the quality and size of the flowers. 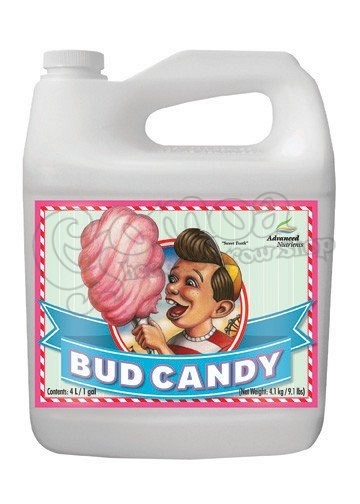 Bud Candy can be used on all hydroponic gardens, including aeroponic and drip irrigation. It's also equally effective on other mediums, such as soil, coco coir, and sphagnum. Bud Candy is designed to be absorbed by the roots, and should not be used as a foliar spray.